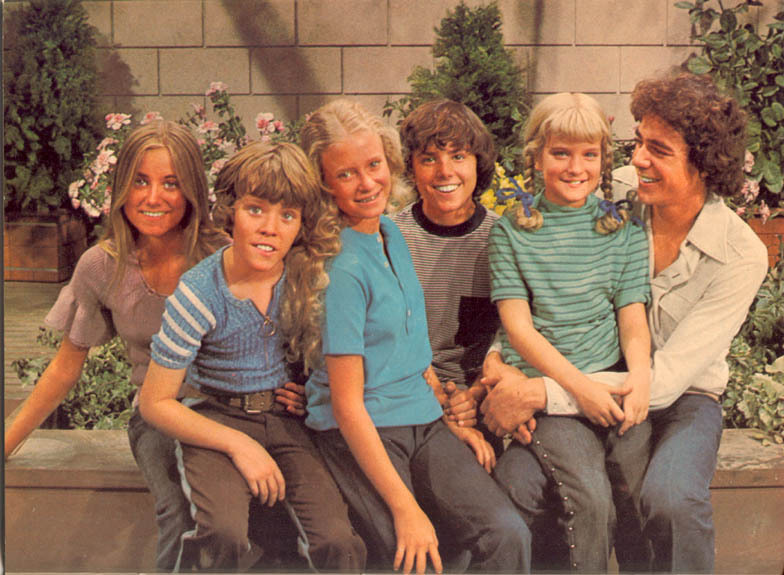 For all intents and purposes, my family is pretty much The Brady Bunch. We are three boys and three girls brought together by a blended family. And in the scheme of the fabled octuplet, I am the youngest of the clan. I am the yellow-haired, pigtail-wearing Cindy Brady. And while my older siblings were nothing like the conceited Marcia Brady or nerdy Jan, we certainly had our own quirky dynamic. If only we had our own Alice Nelson to temper any familial drama with a perfectly prepared meatloaf or Sunday trip to Sears. My home life was anything but 1970s perfect, but I can't deny how fortunate my large family truly was: I grew up in a loving home with five older siblings, two kickass parents, and many, many dogs. But just like any role in the family, being the youngest sister undoubtably comes with its benefits (you're always treated like the baby) and limitations (... you're always treated like the baby). So this Sister's Day, let's take a minute to recognize some of the things only we little sisters understand. Because all youngest sisters will relate: There are just some things we had to learn the hard way. Because your older siblings probably already did something way worse, and your problems were old hat. Once you reach the third kid, a baby's a baby's a baby ... Am I right? I recently went to a family reunion, and my older cousins relentlessly asked me if I was old enough to drive, order drinks at the bar, and so on. Can we just call it "vintage" and move on? whatever, you know who else was a youngest sibling? ... your older siblings' names, your pets' names, and whatever other inanimate object your parents accidentally call you. Somehow, it was never your turn. Hello awkward haircuts and markers on your face. Go fetch me a cup of milk and a box of Oreos, child! Like entering Neverland, or Wonderland, or a really terribly decorated cube that smelled of dirty socks. Because your older siblings would let you watch whatever you wanted when your parents weren't home. My brother had a penchant for drawing penises on my bedroom walls ... because you know, that's really funny to sixth-grade girls. Cause ain't no parent got time to save for their nth child's college fund. Because at least this way, you know someone always has your back.